Do you remember how many musical shows you enjoyed on theatre stage, TV or movies? From Disney’s fairytale stories to Zac Efron and Vanessa Hudgens of High School musical and the Jonas Brothers of Camp Rock, not to mention Phantom of the Opera (Gaston Leroux), Miss Saigon (Claude-Michel Schönberg and Alain Boublil) and TV series Glee (Yes, of course) are musically successful and famous around the world. What is it with musical shows that hype us on and we can’t get enough of? According to Wiki, Musical theatre is a form of theatre combining songs, spoken dialogue and dance. The emotional content of the piece – humor, pathos, love, anger – as well as the story itself, is communicated through the words, music, movement and technical aspects of the entertainment as an integrated whole. Although musical theatre overlaps with other theatrical forms such as opera, it may be distinguished by the equal importance given to the music as compared with the dialogue, movement and other elements of the works. Since the early 20th century, musical theatre stage works have generally been called, simply, "musicals". Hey, hold up… wonder why I’m talking about blah, blah, blah musical stuff? Isn’t it supposed to be top 10 lists or something? Well, I was just curious about this Pan Asian musical drama television series – The Kitchen Musical. The series is set to premiere in October 2011 in 19 countries across Asia and Europe. The show features a pool of Asia's talented casts comprising both veteran and upcoming new faces from around the region. So here’s the 10 list of things they cooked for us. The cast are all amazing talents from different countries in Asia. Who knows? The next big thing in Emmy's will be from Asia? Maddie Avilon (Karylle) is a fresh graduate of Le Cordon Bleu. She lands a job as the sous chef in her father's restaurant. 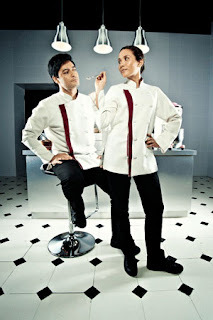 She struggles to show her individuality and creativity in the hands of the head chef. In real life, Ana Karylle Padilla Tatlonghari (March 22, 1981 Philippines), better known as simply Karylle, has established herself as one of the most talented showbiz personalities in the Philippines. She is a respected singer, actress, TV host, athlete, and a writer/blogger. Alex Marcus (Stephen Rahman Hughes) is the executive chef of The Avilon, known for his notoriety for perfection. Stephen Rahman Hughes is an English actor who currently stars as DCI Vikesh Dasari in ITV's Emmerdale. He has previously starred in Bad Girls, Doctors and Sky One Dream Team. Stephen is a half English/Welsh and a half Malay. 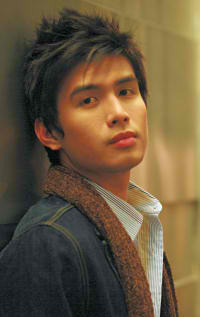 Daniel Ray (Christian Bautista) is a supportive childhood friend of Maddie and the other sous chef of the restaurant. Meanwhile, Christian Joseph Morata Bautista is a Filipino singer, actor, host, and model. He was a finalist of Star in a Million, a Philippine reality show aired on ABS-CBN channel, winning the 4th place in the competition in 2003. After the contest, he signed a recording contract with Warner Music Philippines and released his self-titled debut album, Christian Bautista. The multi-platinum album established his name as an OPM artist with songs such as "The Way You Look at Me", "Invincible" and "Hands to Heaven" topping the charts. The singer gained popularity not only in the Philippines but in other countries in Southeast Asia such as Indonesia, Singapore, Malaysia and Thailand. Harry Shaw (Arthur Acuña) is the general manager of The Avilon. He keeps secrets from Maddie on her father's motives for letting her work in the restaurant. Selena Argon (Rosemary Vandenbroucke) is the sommelier of The Avilon who will do everything to get what she wants. She has a deep desire to get rid of Maddie and win Alex's heart. Rosemary Vandenbroucke is one of the hottest Asian-American supermodels. At age 14 she participated in 2nd Elite Model Look and won the championship. In 1996 she became a model. She was appointed Saint Laurent Ambassador 1998 by French apparel brand Yves Saint Laurent. She has gained exposure in fashion shows, advertisements and from 2001 in films. She has starred in several movies including ‘Martial Angels’ (2001), ‘La Brassiere’ (2001), ‘Mighty Baby’ (2002), and ‘The Spy Dad’ (2003). Rosemary was born to a Russian-French father and a Chinese mother, Julie, who now acts as Rosemary's manager. Prior to production, Filipino celebrities Karylle, Christian Bautista, Arthur Acuña, Ikey Canoy, and Thou Reyes left Singapore to join in a boot camp training to behave, think and act like chefs. The main cast Karylle stayed in Singapore for four months to finish the 13 episodes of season 1 of the series. According to the Studio 23's (ABS-CBN, Philippines) program head Vince Rodriguez, the second season of the series is already in the process. The story revolves around a rich young girl who goes to work at her father's famous restaurant The Avilon after graduating from the culinary school Le Cordon Blue in Paris. I’m expecting that stuff here with Maddie and Alex in differences as well as vicious Selena roaming around. I’m wondering where to put Daniel on the scene? I'm so excited about the scenes. Here’s a sneak peak on what to expect on The Kitchen Musical premiere.